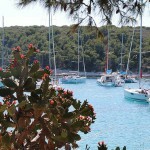 When you think of Mediterranean what first comes to your mind? 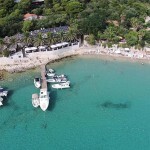 Majority of people will answer beautiful beaches with green trees all around and healthy delicious colorful cuisine combined with the feeling of relaxation, excitement and joy, all mashed into one unique sensation. Pakleni Islands will be that picture from your imagination come to life. As you approach Pakleni Islands the horizon in front of you is filled with numerous small green islands and the little sea channels which divide them. 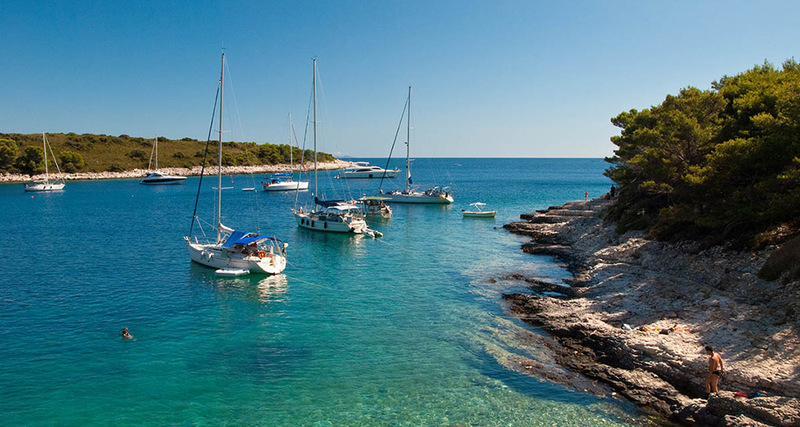 The scenery of Pakleni islands archipelago truly provides the feeling of Mediterranean summer getaway that only a selected few get to escape to. Palmizana is located on perhaps the most special islands of them all: St Klement, as the island is called, is at large percentage of its surface a botanical garden with different plants brought from all over the world by the professor Eugen Meneghello way back at the beginning of the 20th century. Professor knew that he has created a little paradise so he started welcoming globetrotters in his guest house, built way back in 1820, appropriately called the Palmizana Palace. This is how Palmizana got its name today. 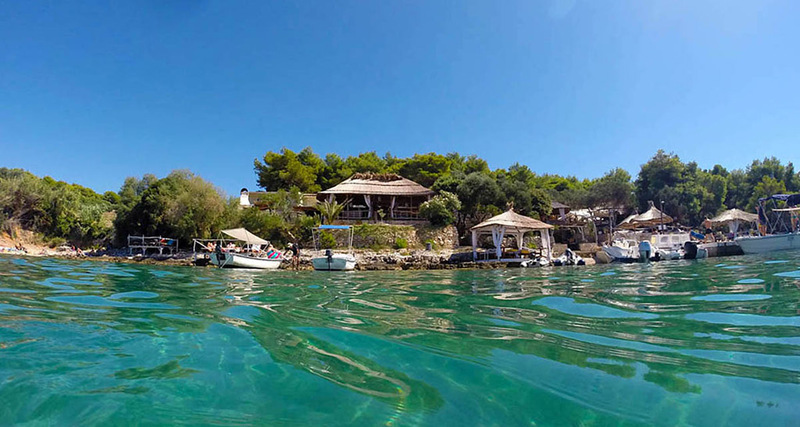 Professor took his guests on a fishing trip, sailing around the islands and he let them enjoy in his botanical paradise he had created with numerous trails leading across the island. It was soon that Palmizana was included in guidebooks of the world and thus becoming a universally recognized tourist destination. Meneghello family is still on the island today operating the popular Meneghello restaurant. 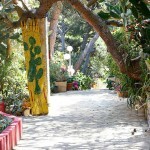 The trail leading to the restaurant is shaded by the trees and plants around you. The sensation becomes complete with the summer song of crickets finding their home in the protected nature of Palmizana. 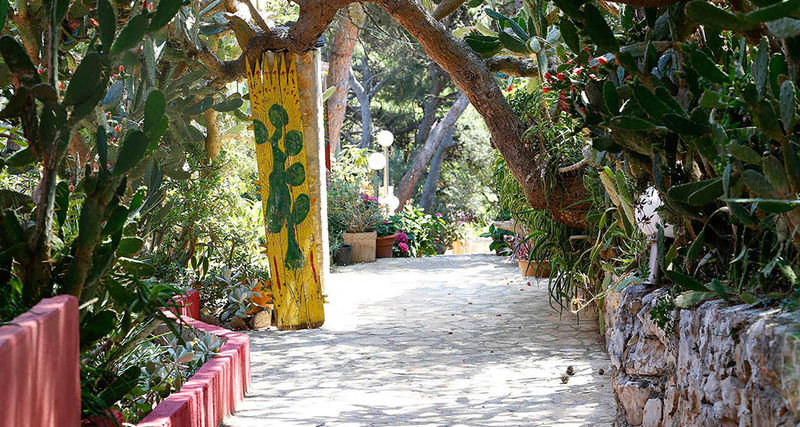 As you sit on the large terrace of Meneghello restaurant, surrounded by the plants from the botanical garden, you have a clear view of the entire Palmizana bay and its astonishing natural beauty. 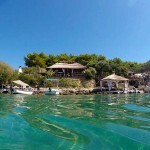 Since the area around Pakleni islands archipelago is inhabited with many different species of fish you always have fresh seafood available to order in the Palmizana restaurants. 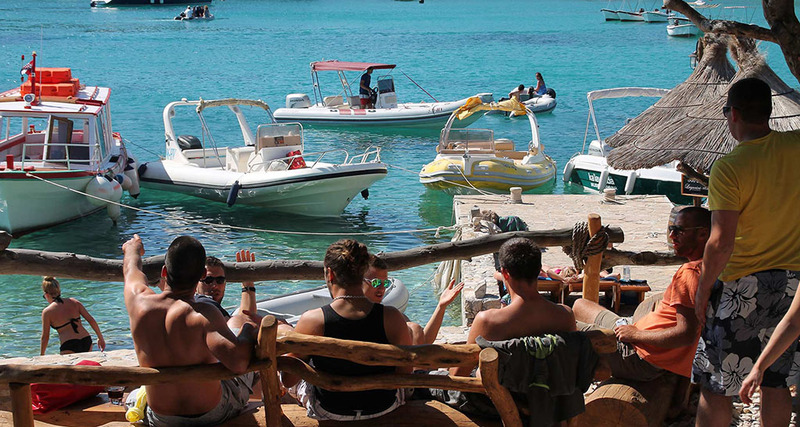 From fish to sea shells you can be sure that you will taste some of the most delicious Mediterranean delicacies prepared by renowned chefs in a traditional as well as in a modern way. 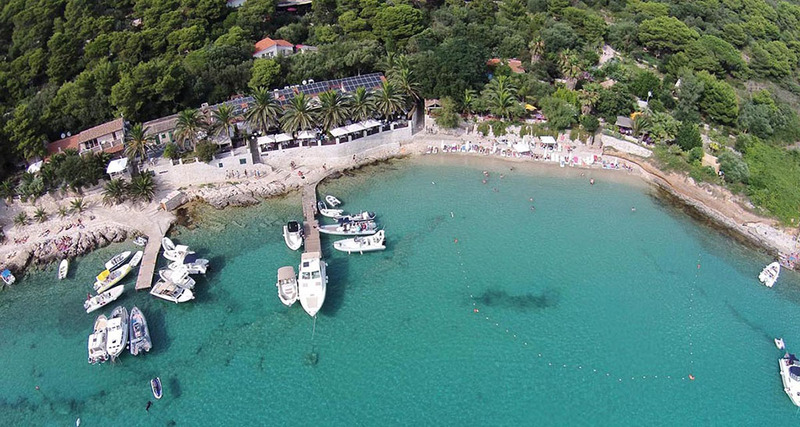 Besides Meneghello and other restaurants in Palmizana who all provide authentic Dalmatian cuisine you can also relax in the famous Laganini beach bar. Immersed in nature, just lay back and relax next to the sea with a referesing cocktail in your hand. 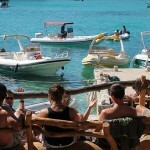 Laganini bar provides deck chairs, swings and seats all with the unprecedented view of the bay around. 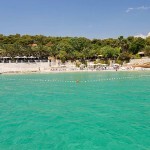 The main beach in Palmizana is pretty narrow but popular due to its sandy sea bottom and the shallow sea. Because of the white sand and clean, transparent sea, the color of the water mixes and mashes between green from the surrounding plants and blue from the sky above. 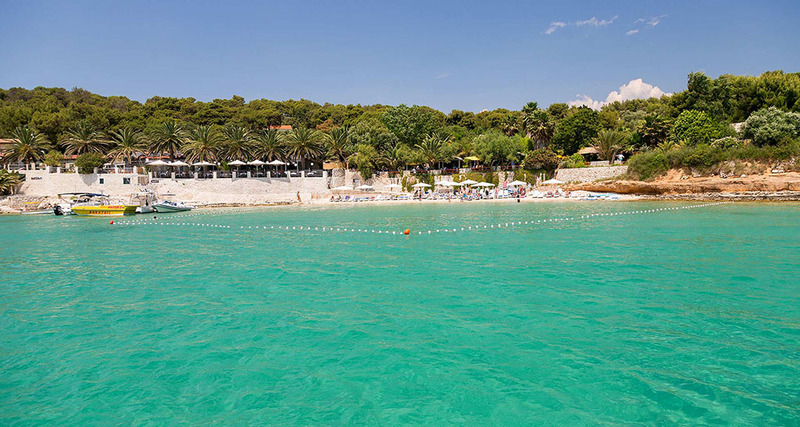 If you don’t want to swim on the main Palmizana beach take the natural trails and explore this small island as it has something to offer to anyone. 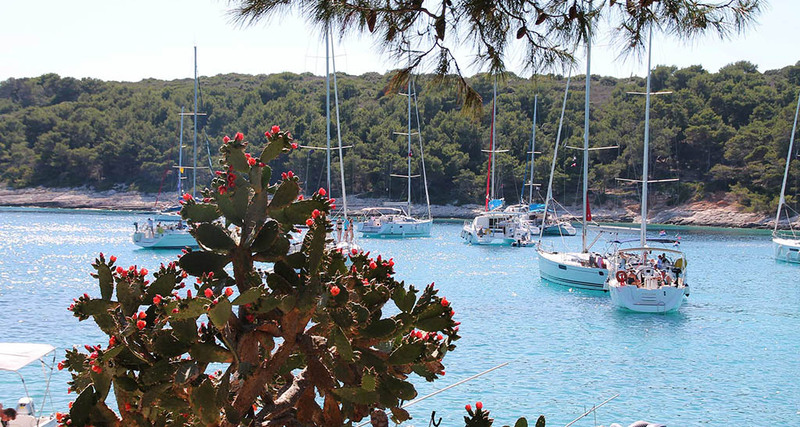 From the boat marina on the other side of the island to numerous hidden bays where you can enjoy in the Mediterranean sights and sounds all on your own.